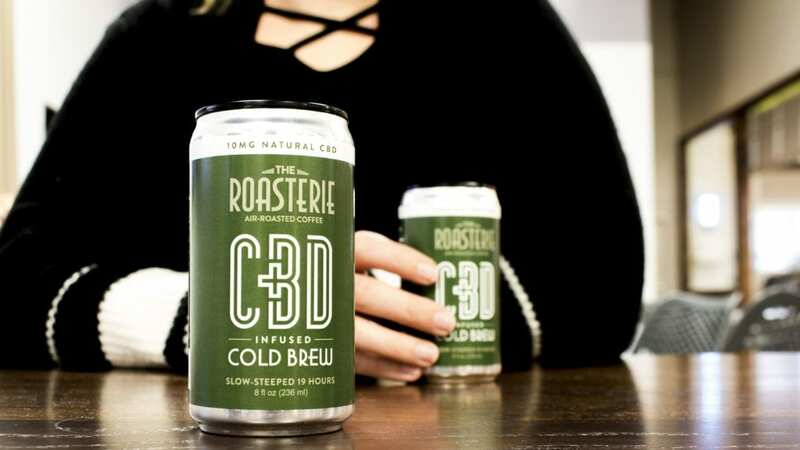 The Roasterie made a splash last month when it introduced cold brew coffee with CBD oil in cans through a partnership with American Shaman, a chain of local CBD shops. Hogshead, a new American restaurant on the Country Club Plaza, is set to unveil a CBD-infused cocktail menu this Friday. The 26-year-old coffee roaster and 14-month-old restaurant are at the front of a wave: CBD oil is shaping up to be a significant food and drink trend in Kansas City in 2019. CBD is shorthand for cannabidiol, a chemical compound found in cannabis and hemp plants. It’s almost as well known as tetrahydrocannabinol, or THC, the chemical that gives marijuana its potency. Proponents argue CBD oil can aid with anxiety and nerve and joint pain. Clinical trials have shown CBD oil can be used to treat epileptic seizures, and The Food and Drug Administration approved a CBD treatment for epilepsy in June. In December 2018, the federal Farm Bill reclassified hemp as an agricultural product. But while hemp may now be legal to grow, the CBD oil derived from hemp is unevenly regulated. Confusion about CBD oil and its properties has led to some public safety agencies reacting strongly in the wake of the oil’s rising popularity. The health department in New York City made national headlines last week when it seized CBD oil-infused pastries and banned CBD oil in food and drinks at restaurants and bars. In Los Angeles, CBD-infused menu items will be considered a violation of the health code in a measure that takes effect this July. In Kansas, the state legislature voted last April that CBD oil without THC should be excluded from the state’s definition of marijuana. By declaring CBD oil an unrestricted substance, that cleared the way for bars and restaurants to begin offering cocktails, drinks and food infused with CBD. Songbird Juice Company out of Wichita, Kansas, sells lemonade with CBD oil added. 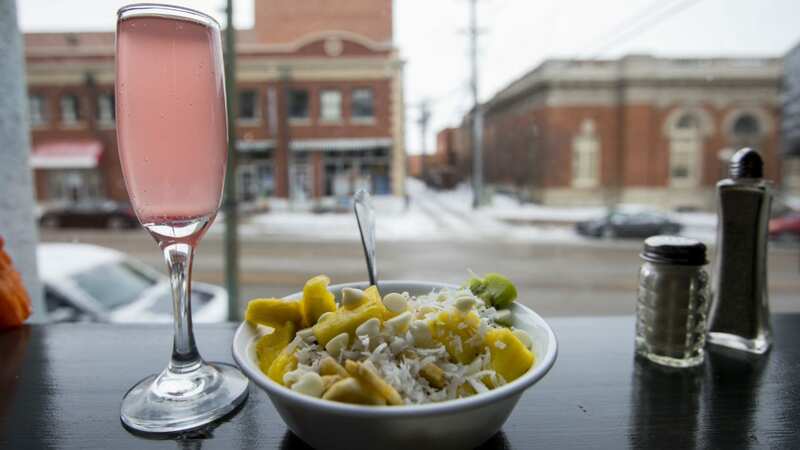 Wake the Dead in Lawrence, Kansas, is a breakfast bar that serves cannabis cocktails; and One Block South, a collection of nightlife spots in Overland Park, Kansas, has CB-Deep Eddy Drinks with names like Munchie Mule and Mary Jane’s Way. “The future of pot and hemp is in food,” said One Block South owner Shawn McClenny, who is also a co-owner of Kansas City’s Hogshead. In Missouri, the regulatory picture was less clear. The debate over CBD oil as a cocktail ingredient began locally last August when Hogshead on the Plaza was profiled in The Pitch for adding a CBDiki, a piña colada with CBD oil, to its menu. But before Hogshead could serve the drink, Regulated Industries — the Kansas City, Missouri, agency that oversees liquor establishments and licenses — told them that it wasn’t allowed under the law. That changed at the end of January, when the Missouri Division of Alcohol and Tobacco Control (ATC) issued a statement that as long as CBD oil had no THC, it was legal to use in combination with alcoholic beverages. When presented with that guidance from the state, Regulated Industries manager Jim Ready said he was prepared to follow Missouri’s lead. The Kansas City Health Department also says there is nothing on the city books currently regulating CBD oil in food and non-alcoholic drinks. The Roasterie began talking with American Shaman last September about bringing a national trend to Kansas City. The cold brew collaboration uses coffee beans from Mexico, Kenya and Brazil. Coarse coffee grounds are steeped in cold water before CBD oil is added. Each can has 10 milligrams of CBD oil. In addition to The Roasterie’s cold brew, Kansas-based Scoby Masters Tea-Biotics has a CBD-infused lemon lime kombucha made with lemon juice, key lime extract, and 10 mg of CBD oil. Queen City Seltzer, a CBD-infused sparkling water made in Cincinnati, will soon appear on local shelves. Feast Magazine reported that the Tree Haus Cafe (THC for short), a CBD coffee shop in the works from Brent Gunnels and Shane Burton, will open this summer. And six months after introducing the idea, Hogshead will serve its first CBD cocktail this Friday.